Bimmer had a bit of a regression in the biting (more on that in another post to come) but my dad promised her a "president" if she was good the week they came. 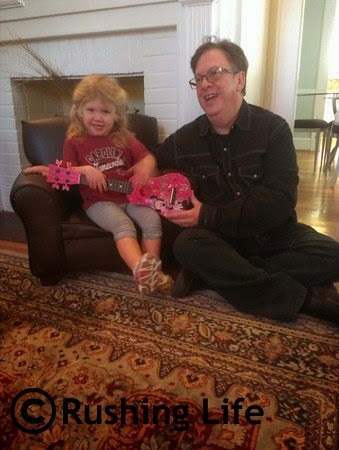 She had been pretending to "rock on a pink tar" for awhile, so my rockstar loving dad decided he would surprise her with a pink "tar." She has been playing and singing on it ever since. Her little songs are hilarious - "I no like my tar, mmm mmm" being my favorite that gets stuck in my head. 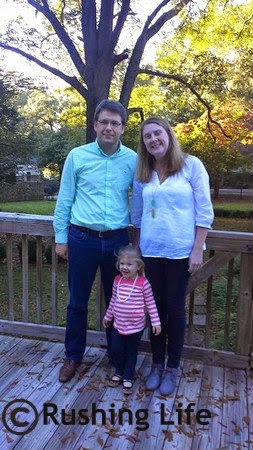 And I'm going to sneak in a little family photo of the 3 of us before heading out to dinner. Not too often we all look this put together! 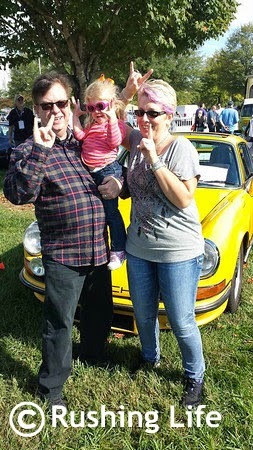 One of Puff's favorite fall activity is the European Auto Show at BMW. 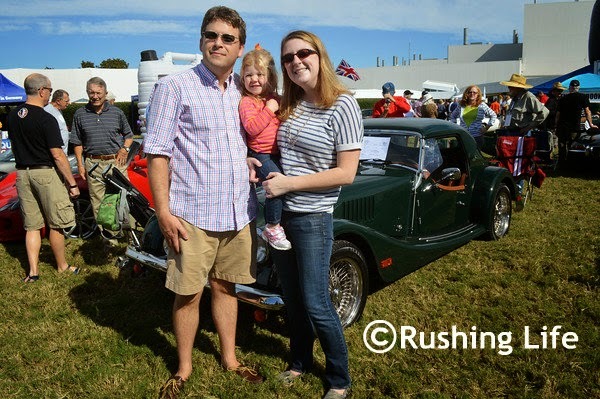 We hit the road to Greer, SC, to the BMW plant every October to check out the hoards of European cars. I will say, this year didn't have the variety that they have had in years past. But, it was much better weather (and toddler behavior) than last year HERE. I think Puff and I are just hoping next year's feature car is something super cool... unlike last year's Ferrari and this year's Porsche 911. How about something more interesting? Just a suggestion, BMW. My parents had a surprisingly good time - even though they aren't super into cars. 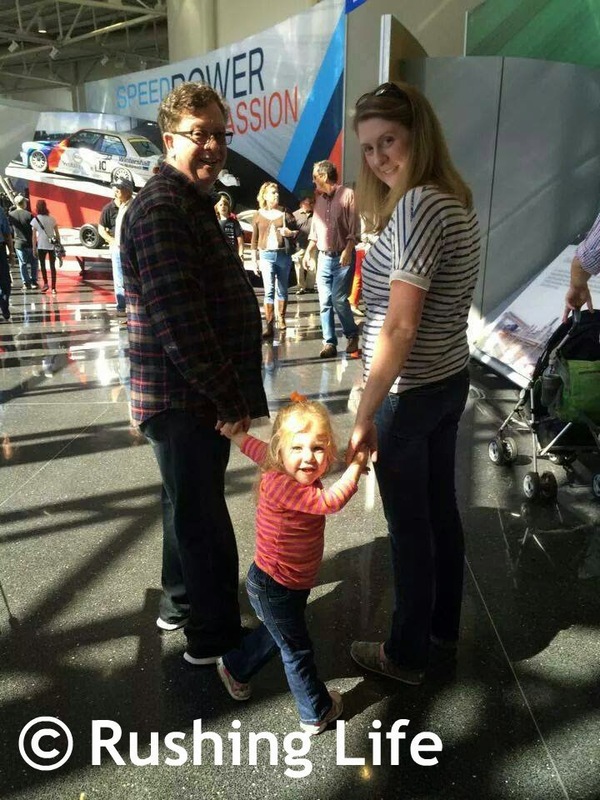 And Bimmer loved getting to spend that time with her Mamaw and Papaw that she doesn't see too often. I'm pretty sure she loves being spoiled. She is my daughter after all.